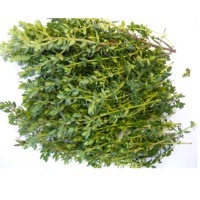 Browse thyme suppliers by country and region. Short on time? Let thyme sellers contact you. Cumin, garden thyme, red pepper, mint, sesame, fennel, garden sage, bun grass, anise. El Hawag Natural Oils Co.
Egyptian black cumin oil, blubber oil (shark liver oil), ginger oil (oil wisdom & strength), mustard oil, natural olive oil, carrot oil, black cumin seed in capsules, juniper oil, sesame oil, camphor oil, thyme oil. Sesame oil, bay oil, thyme oil, blueberry oil. Paprika, oleorresin of paprika and thyme leaves. 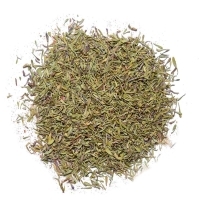 Herbs thyme rosemary origano verbena leadore fassoukh essential oils and more herbs. Herbs, tea, lemon balm, camomile, thyme. Olive oil, pure thyme honey. Spice like thyme, sumac, coriander ground, mint, paprika, red chili, poppy. Thymol crystals, thyme oil, ajwain oil, menthol crystals.